At Scaffold Resource, we are proud to be a safety leader in the scaffolding rental industry. Recently, our scaffolding company was able to operate for three consecutive years without an injury to any member of our staff. With our extensive safety training program and high standards, we are able to bring the best level of safety to all of our projects. Read on for a look at the strict safety standards that help us ensure the safety of every person that works around our scaffold our shoring systems. Our safety program starts with extensive safety training for every member of our staff. In order to work on the Scaffold Resource team, an employee must undergo extensive safety training. We also provide ongoing training in the form of monthly supervisor safety meetings and daily safety briefings for all team members. By providing our team with clear communication channels, we can provide a safe work environment. When you rent a scaffold from our company, you may want to use your own team of workers on your scaffold equipment. To help keep your jobsite safe, we can provide you with extensive safety training for all of your employees. In fact, we are proud to offer monthly scaffold hazard awareness meetings for all of our clients. OSHA has outlined a series of strict safety standards that are designed to protect all scaffold workers from harm. At Scaffold Resource, we work diligently to make sure that all of our practices are in compliance with the safety standards that have been put in place by OSHA. For additional information about scaffolding safety, be sure to get in contact with Scaffold Resource. 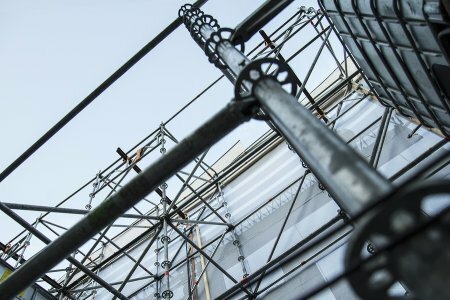 Our company offers top quality scaffolding serving Washington, D.C., and we will make sure that your construction scaffold is in safe operating condition for all of your workers. To learn more about the benefits of working with our company , give us a call at (301) 924-7223. Historic buildings are found throughout Washington, D.C. and the surrounding areas. At Scaffold Resource, we are proud to have been involved in the restoration of many of our nation’s most iconic historic buildings and landmarks. We have provided scaffolding and shoring erection for many different historic restoration projects. Some of our high profile historic restorations include the Bernard Statuary, Bureau of Engraving, and 4514 Connecticut Avenue. During our historic restorations, we have ensured the safety of both pedestrians and workers, while also making sure that the historic features of each building have been preserved and protected. If you are planning a historic building restoration project , do not hesitate to get in contact with Scaffold Resource. We proudly provide our clients with quality scaffolding rental serving Washington, D.C., and we will be happy to consult with you on your restoration project. For additional information about our construction scaffolding, give us a call at (301) 924-7223. When you erect a shoring system, you will need to make sure that your braces are properly oriented and installed. In this video from Spec Rescue International, you will learn all about how to orient diagonal bridging on vertical shores. To maintain the same angle around your shoring installation, you can rely on a parallel diagonal bracing pattern. Once the braces have been fully installed, they should create an X pattern. If you have questions about shoring erection near Washington, D.C., be sure to call Scaffold Resource at (301) 924-7223. Our team specializes in building shoring systems, and we will make sure that your shoring is properly installed. We look forward to assisting you on your next construction site. 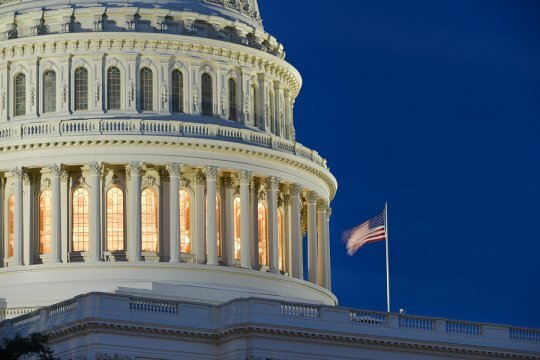 The WBC, or Washington Building Congress, is a local organization that supports companies that work in the construction and building industries. Each year, the WBC highlights excellence in the industry through their WBC Star Craftsmanship Award. In 2012, Scaffold Resource was honored for their technical excellence during the Smithsonian Institution’s Shell Renovation Project. Here is a look back at the history of the WBC Star Craftsmanship award, and what this award means to the construction industry in Washington, D.C. The history of the WBC Craftsmanship Award can be traced back to 1950, when the first award ceremony was held. By 1962, the award program had been recognized by the U.S. Chamber of Commerce for its distinguished achievements. From the earliest days of the award, top honors were given to businesses and individuals that were committed to honoring the essence of craftsmanship. The Washington Building Congress implemented the WBC Craftsmanship Award in order to recognize outstanding work in the craftsmanship and construction industries. The award is given to those organizations that display a commitment to excellence and quality of detail. Over the decades, the award has been given to technical contractors, woodworkers, scaffolding companies, and companies in a variety of other craftsmanship industries. Each year, the WBC selects several honorees to receive the WBC Craftsmanship Award. More recently, in 2008, the WBC also established their Hall of Fame, which showcases industry professionals that demonstrate a continued commitment to their crafts. At Scaffold Resource, we are honored to have been the recipient of the WBC Craftsmanship Award for Scaffolding & Rigging in 2012. When you are in need of award-winning scaffolding rental or shoring rental near Washington, D.C. , be sure to get in touch with our top rated company. For additional information about how we can provide you with top of the line scaffolding for your next project, give us a call at (301) 924-7223. Scaffolding is designed to provide you and your workers access to areas that are high off of the ground. A company that specializes in scaffolding rental will be able to provide you with the equipment that you need to safely complete elevated tasks around your construction site. In order to make sure that your site is up to code, you will need to provide your employees with proper fall prevention equipment. 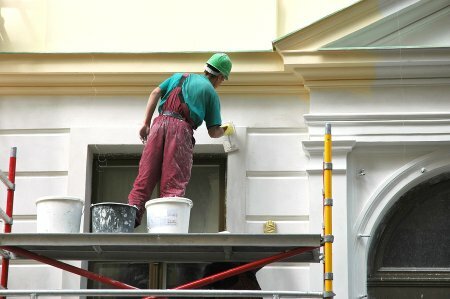 Here is a look at some key OSHA fall prevention requirements. In order to help prevent falls, OSHA requires that all scaffolding systems meet basic capacity requirements. When your scaffold is erected, a qualified technician must inspect the equipment to make sure that it is able to support its own weight, as well as the weight of any workers and equipment that will be placed on its work platform. 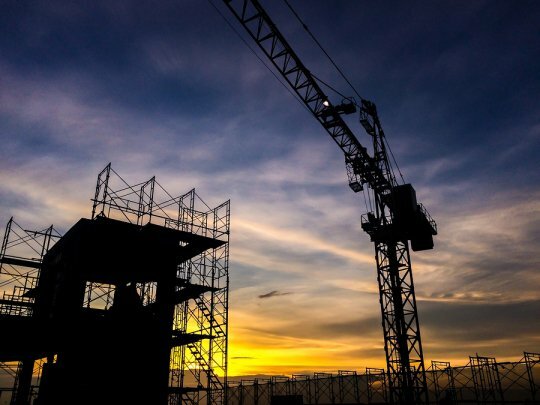 Along with regulating the minimum capacity of scaffolds, OSHA has also instituted requirements for the platform construction of any scaffold that is used on a commercial job site. To prevent accidental falls, the scaffold must have beams that are placed no further than 9 inches apart. The planks can be constructed from wood, metal, or other load bearing materials. OSHA also requires all scaffold systems to be fully equipped with fall protection equipment. Some common types of fall protection devices include guardrails and personal fall arrest systems. The guardrails need to be made out of solid materials that can support the weight of a worker. Plastic, steel, and other lightweight materials are not acceptable for use as guard rails. For more information about OSHA fall prevention requirements and scaffolds, be sure to get in touch with Scaffold Resource . Our company offers quality scaffold rentals near Washington, D.C., and we will be able to help you erect a durable and safe scaffolding rental at your next job site. Give us a call at (301) 924-7223 to hear more about the quality scaffolding services that we have to offer you.